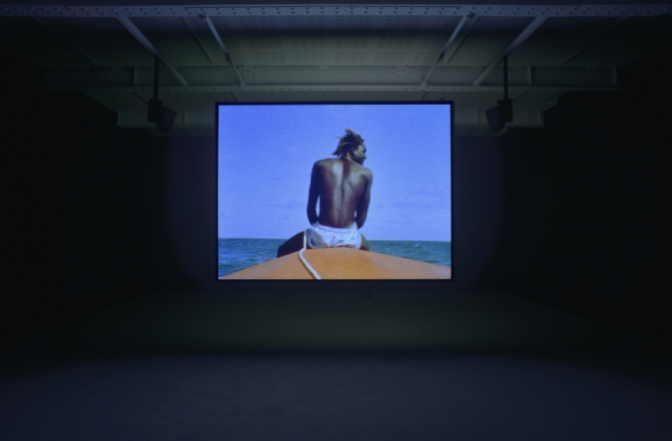 Starting February 15, 2018, the director of 12 Years a Slave, Steve McQueen will be presenting his video installation “Ashes” at the Institution of Contemporary Art. In this exhibition, McQueen has captured a young, carefree fisherman named Ashes on a soft, grainy Super 8 film - while also shooting the chronicles of Ashes unexpected fate on 16mm film. You can view McQueen's exhibition until February 25, 2018. Don’t miss this tribute exhibition to artist Barkley L. Hendricks at Bakalar & Paine Galleries located at MassArt. This exhibition displays 24 artists works that pay hommage to Barkley L. Hendricks paintings through their diverse outlooks and approaches. This event is free and open to the public, and will start on January 17, 2018 and will go until March 3, 2018. South Florida-based artist, Jillian Mayer will be debuting her work Slumpies at the Aidekman Arts Center in Medford. Mayer’s sculptures are designed to be interactive with viewers and stated that Slumpies are “Sculptures that work for you.” These sculptures are to show viewers post-posture and how our bodies will evolve around our portable devices and smartphones. Slumpies will be on view January 16-April 15, 2018. This artist, writer, and filmmaker, Renée Green will be showcasing her show Within Living Memory at the Carpenter Center for the Visual Arts from February 1- April 15, 2018. In this show, Green will be presenting an interconnection of artwork she has made in the past decade to address conditions of residency and displacement, subjective experiences, institutional memory, notions of progression, and the inescapable of decay. This winter, the Davis Museum at Wellesley College will be featuring their new exhibition called Artists Take Action! This exhibition will manifest how artist use print mediums to confront the crucial social and political issue of their time. This show will be on view starting on February 13 and going until June 10, 2018.